A tankless water heater is like a regular water heater except it has one major difference: it only provides hot water when needed. This means that there is no continuous loss of energy and power, and that the hot water is not stored for hours at a time in order to be used later. 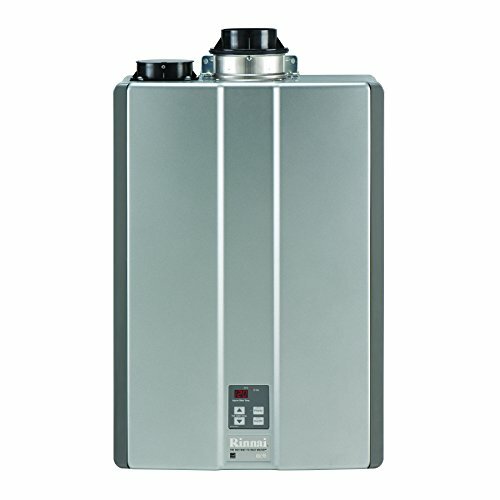 A tankless water heater does not store hot water. Rather, it heats the water when necessary. This usually means that the water that you get has been freshly heated and supplied. This allows for a better and faster water supply rate, and as a result all the tap water in your home can be heated at a rapid rate. 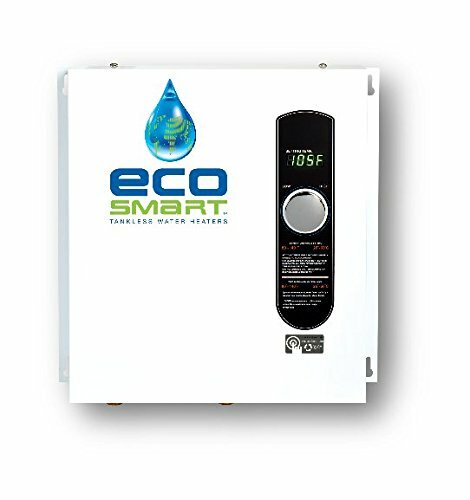 Tankless water heaters have a number of other merits, including their compact design, efficient energy consumption, faster hot water supply, higher temperatures, and fewer health hazards. What I love most about tankless water heaters is the curious design that is incorporated. We may use many machines in our houses and still never wonder how they work. 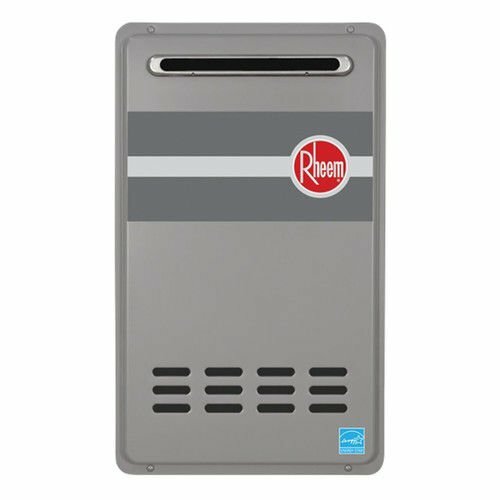 Tankless water heaters are also one of the lesser-known machines. The tankless water heater is a great invention, and it’s only fair that you get to understand it! Tankless water heaters are made up of at least five different components, all of which have some very intricate and clever designs and functions. 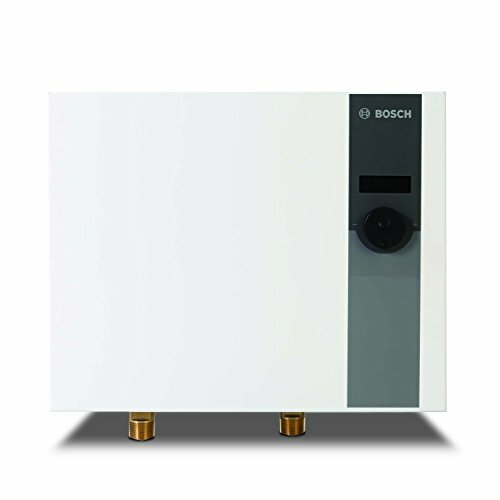 The outer covering of most tankless water heaters is made of metals and alloys. Most use copper or brass as a covering. The main function of the cover is to protect the internal system from water damage, and to stop heat from flowing out of the system, resulting in more heat getting trapped inside and higher temperatures being achieved. The metal used is insulated to some extent, to allow easy handling of the unit without getting burned. The outer case can usually be opened, and has a number of controls, primarily used for controlling temperature and water flow. Most tankless water heaters either rely on electrical flow or burning gas to heat up the water. Every heater has a heating element, and there are twenty different types of tankless water heaters. Most of them use electricity or high voltage, while a number of them use burning gas (methane or propane) to heat up the water as it flows. These heaters use natural gas like methane or propane to provide the heat. The energy consumption is less, as natural gas costs much less than electricity. These heaters use electrical flow of high resistance to produce friction and heat the water, which in turn increases the temperature and gives a nice smooth flow of evenly heated water. The energy consumption is a bit more in comparison to gas heaters, but it is definitely a lot less than water heaters that use tanks. This is because the water is only being heated when needed, instead of being continuously heated and stored in a tank. 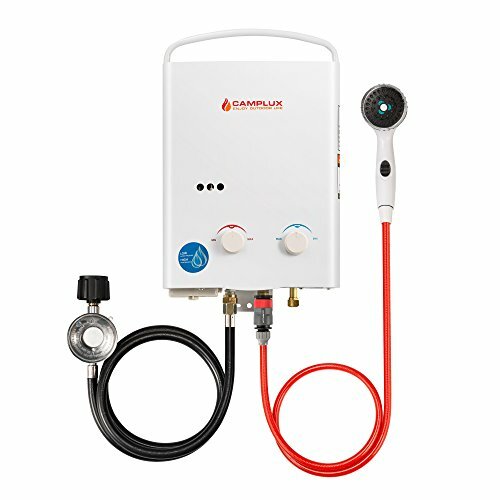 The flow sensors are one of the most basic and essential elements in a tankless water heater, and are perhaps the only things that help with energy efficiency. The flow sensors are near the pipe where the water flows, and these detect when the water enters the system. Once a flow sensor detects the presence of water, it turns on the computer circuit, and the gas starts burning or the electricity starts flowing. The flow sensor is a powerful tool, albeit small, as it turns on the system only when the water is passing through it, allowing for less energy and time consumption. The entire heater is turned off when the water isn’t passing through. The heat exchanger is another element which aids in the initial heating. This component is usually made of copper or cast iron, although the former is a better option because it is more conductive. The heat exchanger conducts the heat from the heating element and passes it on onto the water flowing through the system. The heat exchanger is a secondary heating element, but its importance is the same as that of the main heating element. Without the heat exchanger, the heat would never reach the high water temperature and your dream bubble bath would become a reality. Cast iron exchangers are less expensive but slower, which is why copper exchangers are used. The circuit turns on the flow of the valve, allowing the gas to enter the heating chamber. The circuit causes a tiny spark within the chamber to ignite the gas and create a chain reaction of combustions, heating the heat exchanger. In electrical heaters, the circuit passes electrical current through the heat exchanger, allowing the water to be rapidly heated. The controls are the one thing that increases the price of a water heater, but also makes it ten times more efficient and customizable. Tankless water heater controls usually just consist of a thermostat, but in some higher-end heaters it can also include water flow control and a timer for when to shut the heater off if the water is running too long. The thermostat may not be present in modulated heaters, and the water either is heated at too high of temperatures, or it isn’t heated at all. Modulated ones allow a thermostat feature that mostly controls the amount of heat produced by regulating the gas valve, the flow sensor, and a water temperature sensor to ensure that the desired temperature is reached. Since tankless water heaters are pretty simple and minimalistic, they are not capable of accurately reaching the desired temperature. However, some can reach an accuracy of up to ±2°C. All of the aforementioned elements come together to form some of the most efficient and user-friendly tankless water heaters in existence. The artful combination of the various elements with scientific inclination results in a life-changing invention. This is the first step. When you turn on the tap or the faucet, the water starts flowing through your main water supply. However, on its journey to your faucets, it flows through the tankless water heater, triggering the flow sensor and setting off a chain reaction that will eventually supply heated water to your home! Usually the water entering the system can be either cold or hot, depending on the outside or underground temperature. But usually the water should be room temperature for better effects. Still, good water heaters don’t care about the temperature of the water. They can heat up anything to the desired temperature! When the water first enters the device, it triggers the flow sensor. The flow sensor is one of the most fascinating and perceptive creations, as it can detect even the slightest flow of liquid. This makes it extra sensitive and makes the heating process almost instantaneous. The flow sensor sets off a number of reactions, including completing the circuit and allowing gas to be burned or electricity to be passed. The flow sensor can also help in regulating the flow of water, in specific models of tankless water heaters which allow water flow control. A broken flow sensor can malfunction the entire unit. If your tankless water heater has stopped working, chances are that the entire problem could just be a minor fault in the flow sensor. Once the flow sensor is triggered, the circuit will be complete, and a few things will happen. First, the gas valve will open, making way for the natural gas to enter the gas chamber. There a spark will ignite the gas and combust the natural gas, and the heat will spread throughout the chamber and will be conducted throughout the system to the heat exchanger. 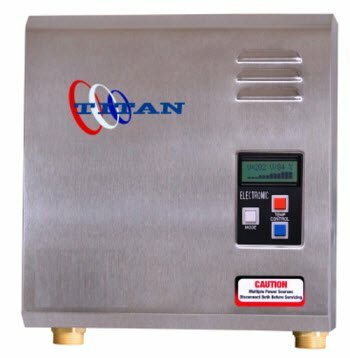 In electrical tankless water heaters, the main heating element is electric, similar to those found in heating irons or thermostats. The electrical current creates friction, eventually developing heat. This heat is then passed on onto the heat exchanger. 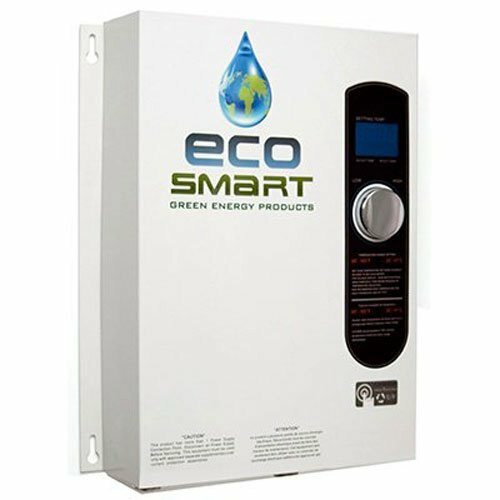 Electric tankless water heaters cost more than gas ones, but the fuel consumption in both of them is highly efficient, meaning that both of them are a great choice. But one thing should be considered: electricity costs more than gas in most cases, so while the energy consumption will be minimal, even the tiniest bit of electricity used could cost enough. Still, electric tankless water heaters are faster at heating up the water as compared to gas units, therefore the rapid heating could prove to be overall more efficient. The heat exchanger is usually a metallic plate made of copper or cast iron. The plate absorbs heat from the heating element and passes it on to the water. The water runs through pipes arranged in a coil around the heat exchanger. The extra-long water tube allows the water to be heated completely before it exits the device. However, in most tankless water heaters the water out pour is almost instantaneous. In some units, though, the long coiled tube of water can take a bit longer to heat up, and the heat transfer needs to take a few minutes. This can result in waiting a few minutes after turning on the tap before you get warm water. And voila! After the water has been properly heated, it gushes out of your taps and faucets, and you can have that long-awaited bubble bath or hot shower! Some units feature a valve at the end, which helps to regulate the flow of water. You can choose how much water comes out of the unit. Many don’t have this feature, but we mostly see this as redundant and not necessary. The process may be complicated, but one thing remains simple: your opinion of it. 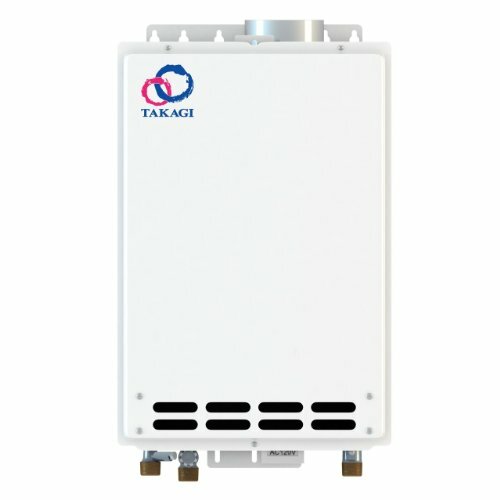 Whether the tankless water heater is modulated or non-modulated, we can all agree that they are a better option than normal tank water heaters! Newer models of tankless water heaters feature some controls that let you moderate the temperature inside the unit. This makes them all the more favorable as you can now manually control the heat level that you want. Before, the heater would be either off and the water would be cold, or they would be on and the water would be scalding hot. But thanks to modulated tankless water heaters, this problem has been solved! The thermostat controls the gas valve and reduces or enlarges the flame depending on the temperature you like. In electrical units, it toggles the resistance of the circuit to either allow more current to pass or suppress some of it. Since tankless water heaters are simple devices, there isn’t much that the makers can fit inside it. A fully customized system is a bit of a stretch, but we can’t say we don’t like the idea. Who doesn’t love a warm shower? And who doesn’t love a nice tankless water heater? For myself, I’m very impressed by how this type of heater can be so much more innovative than a regular tank heater. So here’s the rundown of what happens inside a tankless water heater: First, water enters the device, triggering the flow sensor to start a chain reaction. Then, flow sensor turns the circuit on, which in turn ignites the gas in the gas chamber. Therefore, the heat from the gas conducts itself into the heat exchanger, which in turn transfers it to the water flowing through the pipes. Lastly, this freshly heated water is then sent to a pump, from where it gushes out of your taps, ready to be used. There is only one right decision to take in this case, and that is to buy your very own tankless water heater right away.